Qi Alternative Acupuncture Clinic, a Traditional Chinese Medicine Holistic Body Care @ Kingston Ontario. 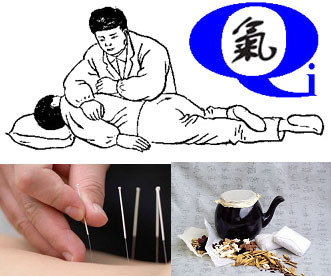 We provide Acupuncture, TuiNa (Chinese style deep tissue massage), Chinese herbal medicine, Moxibustion, Cupping etc. Moxibustion, Cupping and Reflexology etc. Yan Chen is the director and founder of Qi Alternative Acupuncture Clinic, and a registered TCM practitioner (R.TCMP), and Acupuncturist (R.Ac) in Ontario. Yan Chen is well trained in Western and Chinese Traditional Medicines in China and Japan. In 1984, he obtained his M.D. and worked as an Oncology and Orthopedics surgeon in China, not only by performing surgeries and Western medicine treatments but also providing integrated traditional Chinese and Western medicine for post-operation treatments. Yan Chen also has his Ph.D. degree from Medical School of Tohoku University in Japan, performing clinical researches on Japanese National Early Lung Cancer diagnosis project. Previously, Yan Chen has worked as a clinical research scientist for Computer Assist Orthopedics Surgery project at Queens University and Kingston General Hospital for years. Yan Chen is the members of "The college of Traditional Chinese Medicine Practitioners and Acupuncturist of Ontario" (#1449), and "The Canadian Society of Chinese Medicine and Acupuncture" (#2205). Qi Alternative Acupuncture Clinic ONLY offers alternative and complementary treatments for some health conditions. The clinic does not and can not offer any conventional (Western) medical diagnosis and treatment.